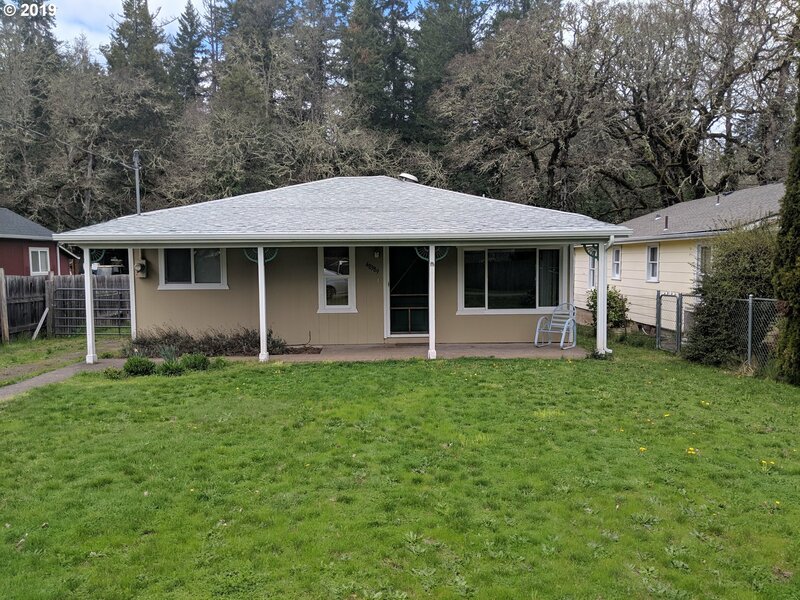 All Oakridge homes currently listed for sale in Oakridge as of 04/19/2019 are shown below. You can change the search criteria at any time by pressing the 'Change Search' button below. If you have any questions or you would like more information about any Oakridge homes for sale or other Oakridge real estate, please contact us and one of our knowledgeable Oakridge REALTORS® would be pleased to assist you. "Price Reduced. Seller Motivated. This 5 bedroom 1935 home has been beautifully remodeled. Updated kit, 3 fully updated bathrooms, all done with high quality cabinets, fixtures and counters. The most unique feature is attached convenience store, shop, commercial kitand cafe. Zoning is C3 for mixed use. See attached. House is grandfathered as a residence but could be converted tobusiness use. Land, Bldgs, incl. OWC over 20 yrs." 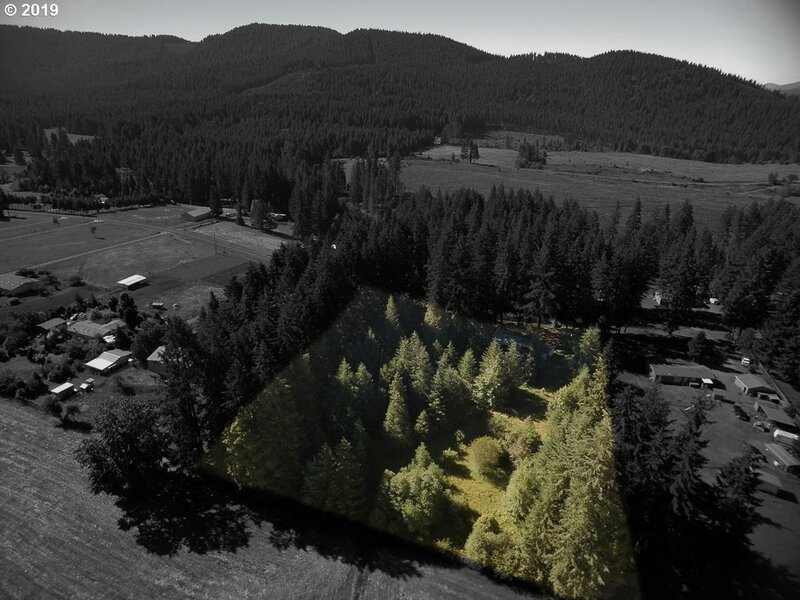 "Live in the mobile while building your dream on this beautiful, private + coveted 32.53 acre property near Oakridge in the Cascade foothills. Oversized shop, timber, orchard/garden, creek, sheds. Enjoy local rec'l opportunities incl. fishing, hunting, hiking, cycling, skiing, ATVs, horses, wildlife. Mobile is spacious, clean + partially furnished. Property sold as-is. Seller in process of removing personal property. Mailbox is 78181." "Custom built 3072 Sq Ft log home on 11.4 private acres. Situated at the end of a dead end road this home is perfect for a family or a recreational retreat. Enjoy views of Awbrey Mountain and Spring Prairie from either of the decks. Just minutes from Oakridge and all the outdoor activities the area has to offer. One of the only properties in the area with acreage. This well built home is being sold as-is and the seller is motivated!" "This 5 bedroom/3 bath remodeled home is set on 1.3 private acres, yet is just minutes from Uptown. Featuring an open floorplan, a stunning master suite w/ double headed shower, a chef's kitchen with concrete countertops, a canning closet, light filled living and dining room, a custom mancave with a secret entrance, 4 addl. large bedrooms w/ storage & attic playroom, fenced garden area, children's playground, shop,fruit trees and more!" 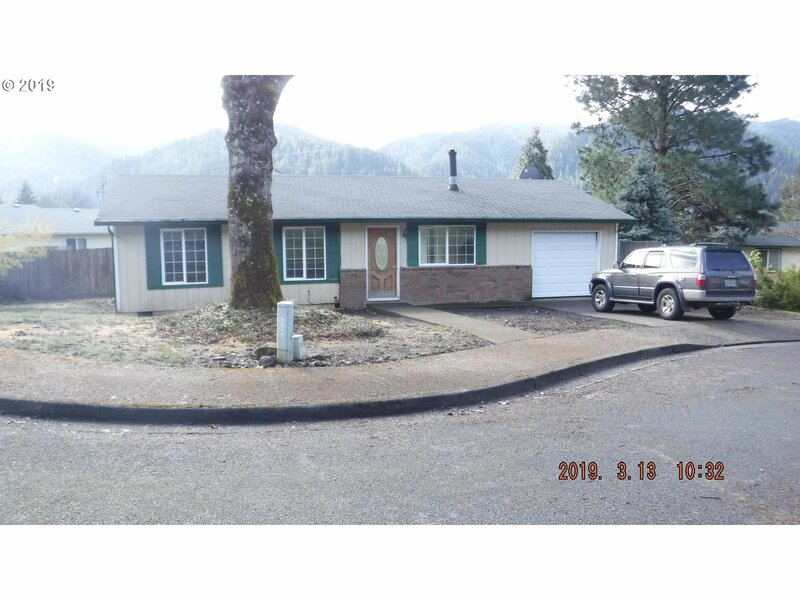 "Lovely,4/3 in the hills above Oakridge.Price includes two tax lots, build another home adjacent .48 acres.Amenities include built ins, unbelievable storage, 784' of garage space,large yard,deck, privacy, spacious rooms, light, a soundly built 1954 family home on .35 acre.Near golf course.Horse property across road.Beautiful views. Minutes from all outdoor recreation in charming neighborhood.Bike,hike,fish,boat our lakes,hunt,enjoy Life!" 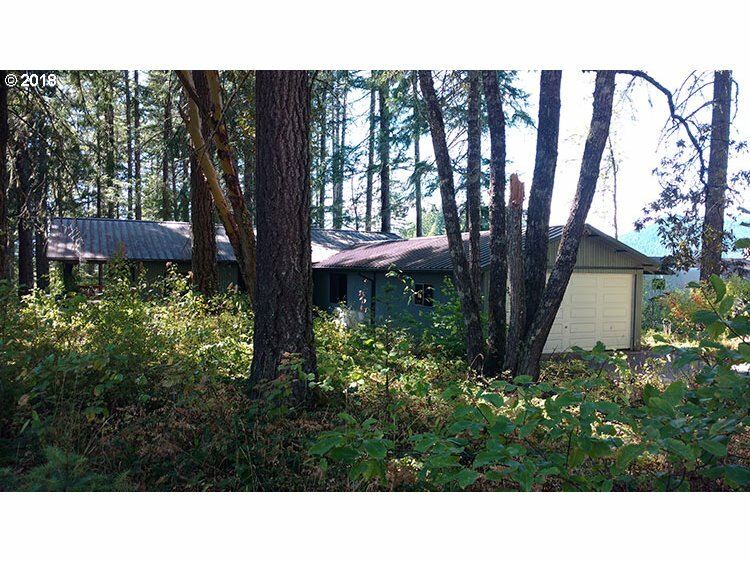 "1-level home on level & sloped 2.68 acre woodland, trail infused parcel w/year round 1st Creek. Great room features lg. windows & french door to open wrap deck. Enjoy the best of indoor/outdoor rural living. Spacious family rm w/closet (3rd BR? ), Master BR w/bath, applianced kitchen w/new DW, island & slider to covered deck. FA+Trane HP. Fenced lawn w/2 sheds + att. 2-car garage. A special find located in the highlands NE of Oakridge!" "Bring your imagination and toolbelt! Originally constructed in 1956, the building currently under renovation. The exterior renovations are complete, and the interior is in shell condition. The improvement is located on a 0.4-acre site and, as improved, the property has a 13% site coverage ratio. Zoned commercial/residential. Great views overlooking the city and mountains. Lots of possibilities!" "In town with a country feel on 1.26 acres. 3 bdrm, 2 ba & 1867 sqft. Vaulted ceilings throughout, living, dining rm & office. 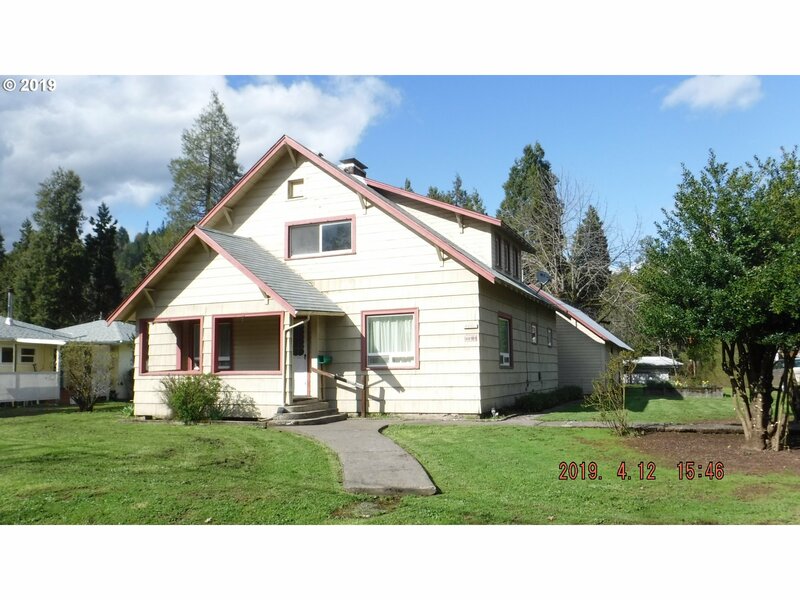 Spacious kitchen wi/skylight & vaulted celling, family rm w/pellet stove. Laundry rm w/sink. Mstr bdrm has jetted tub, shower & W/I closet. 3 car garage attached sewing rm/living space w/pellet stove. Fenced front yard, wood barn, shed/1 car garage & garden area. 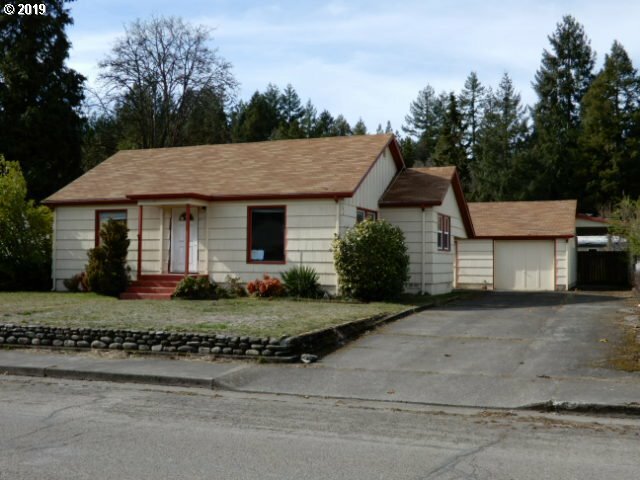 Don't miss out on this well-kept Oakridge home!" "STICK BUILT HOME!! Seller is relocating. Formal living room w/pellet stove, family room has a wood stove, new covered patio, dedicated fenced garden area, new wood shed, fenced yard, updated electrical, amazing views w/great neighbors, Circle Bar Public golf course is down the street. Enjoy world renowned mountain biking of all levels, hiking, fishing, golfing and so much more. Come explore what Oakridge has to offer." "Estate is selling AS IS! Seller won't pay for any repairs or inspections. Needs source of heat in bedrooms. The estate is 1 of Oakridge's oldest. Charming farmhouse w/ original wood counters in country kitchen, beadboard ceilings & walls, 2 beds down & 3 spacious beds upstairs w/dormers & quaint touches thoughout. 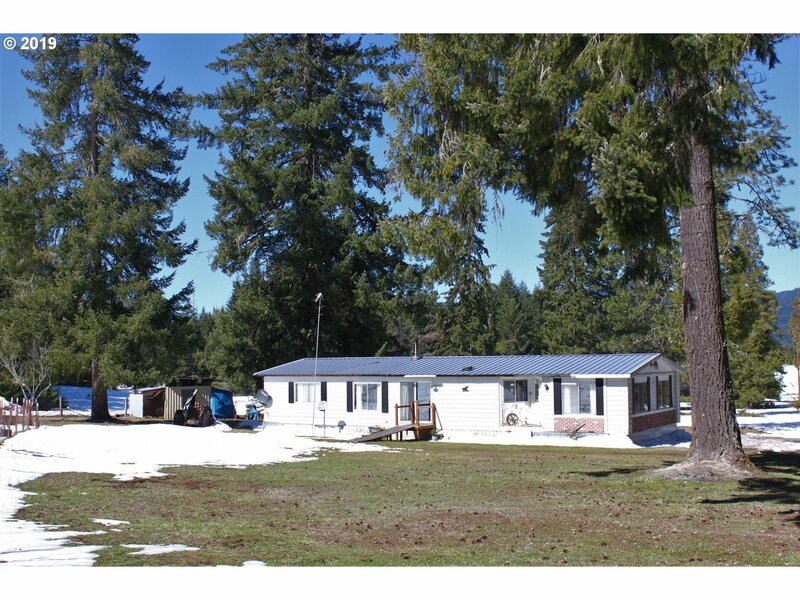 Home is located on .35 acre, room for RV pkg & for a shop. Come & explore all that Oakridge has to offer." "One level rambler on quiet, corner lot. Light and bright, meticulously cared for, and move-in ready. Hardwood floors in living room, quartz counters in the kitchen. Large slider off kitchen leads to fenced backyard and covered patio perfect for entertaining. Bonus room could be 4th bedroom, features ceiling fan, high end carpet." "Gr8 family home on 1.1 acres on the edge of town not in city limits. Across from Green Waters Park where you can enjoy summer concerts, hiking, biking, playground for the kiddos, something for everyone. Spacious living area with lots of natural light, kitchen/dining room, vinyl windows, ductless heat pump & plumbing for a 2nd bathroom. RV parking, room for a shop, new holding tank, play structure & new green house. Explore & Oakridge!!" "Located at the end of a cul-de-sac & tucked up against a hill of large trees. View Diamond Peek from your front porch. Life in Oakridge offers a wide variety of of outdoor recreation, hiking, biking, fishing, skiing & so much more. This is a perfect home for those who like smaller yards." "Motivated seller! Perfect family size home located in a quiet cul-de-sac great for family fun. Hiking, biking, fishing, snow or water skiing & a multitude of outdoor recreation something for everyone. Oakridge is at the foot of the Cascade mountains with world renowned mountain biking of all levels." "Do not miss this wonderful 3 bedroom 2 bath home located on large fenced lot with oversized 1 car garage. Repairs: Remove moss off roof and replace gutters, repair-secure power master and exterior power line, replace front door missing trim." "Well kept, move-in ready home in a quiet safe neighborhood. Updated cabinets, flooring, brand new carpet. Roof and gutters are 3 years old. Private fenced back yard with workshop. This home won't last long." "Enjoy peace, quiet, and nature. Well, septic, electricity available for use. Clean, flat lot, with an abundance of uses. Buyer to do due diligence in regards to planned use. Sols as is, seller to make no repairs." "Cute Mfgd remodel with new water heater, fresh interior paint, Xtra wide granite counter tops, Xtra deep kitchen sink. new cupboards, beautiful new appliances, new disposal, heat pump, all new bathroom fixtures step in shower for two. Excellent condition. Fenced with unusual ivy green covering, covered deck off kitchen door, Off street parking, One large lot and small one separate tax ID's." "Perfect spot for beginner home or vacation pit-stop. Lots of protective updates to exterior - new roof, new siding and new vinyl windows. Otherwise, fairly rustic inside. Small lot with alley to south side, small yard to north and west. 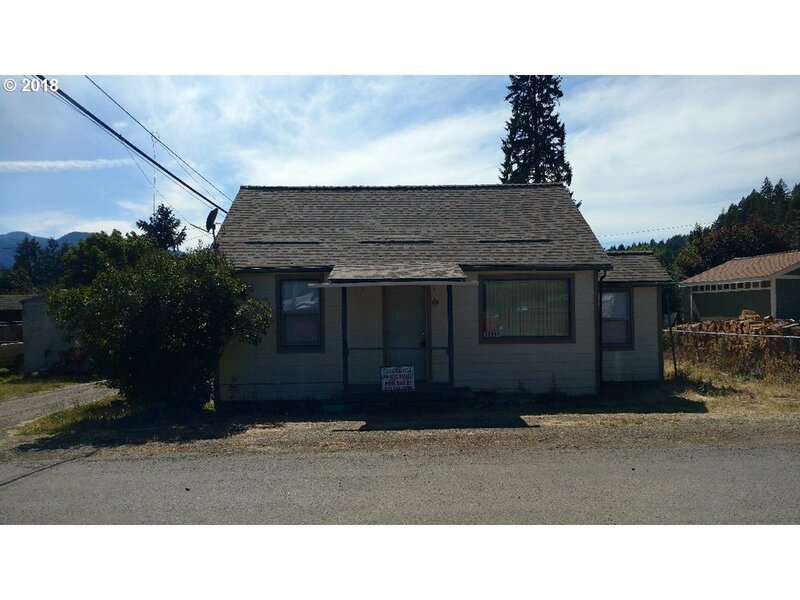 Older 2 bedroom, 1 bath home with lots of internal potential. Utility building to park your toys. This is an estate property. Bones are good, though needs considerable updating. Make a reasonable offer."